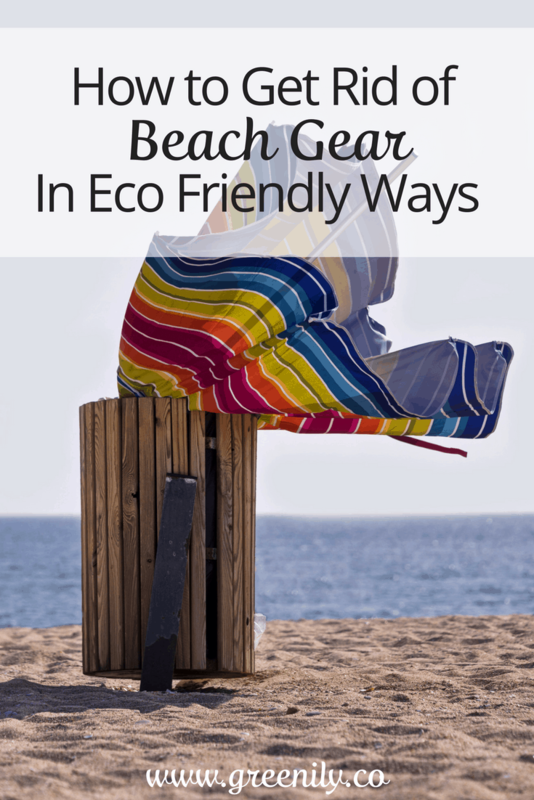 There is also A LOT of beach gear that goes along with visiting the beach. And let’s be honest, that stuff, regardless of whether your kids help or not, is a pain to lug around! And, what happens to it all when the summer is over? What if you realize you no longer need 5 buckets and a sand mold for every creature that swims in the ocean? What if that crazy gust of wind demolished your beach umbrella? I know it is INCREDIBLY tempting to dump all that crap into the trash cans on the beach and walk, unencumbered, off to get ice cream. BUT there are more eco friendly ways to get rid of (most of) it. 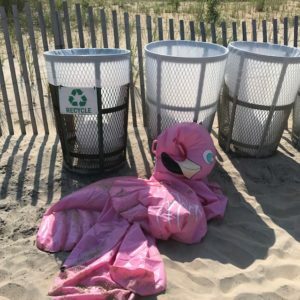 After seeing many a sad umbrella or chair stuffed in the beach trash can I became slightly obsessed with researching other options. I thought for sure I would come across some eccentric artist looking for these items to use in an elaborate sculpture of some sort. No luck. I did discover that TerraCycle accepts outdoor furnishings through their Outdoor Furnishings – Zero Waste Box™ program. It isn’t a free option but if you are dedicated to being eco friendly this may be the option for you. Another option is to recycle parts of the umbrella or chair. My local division of solid waste will accept the metal pieces of both the umbrella and chair as long as the fabric has been removed. 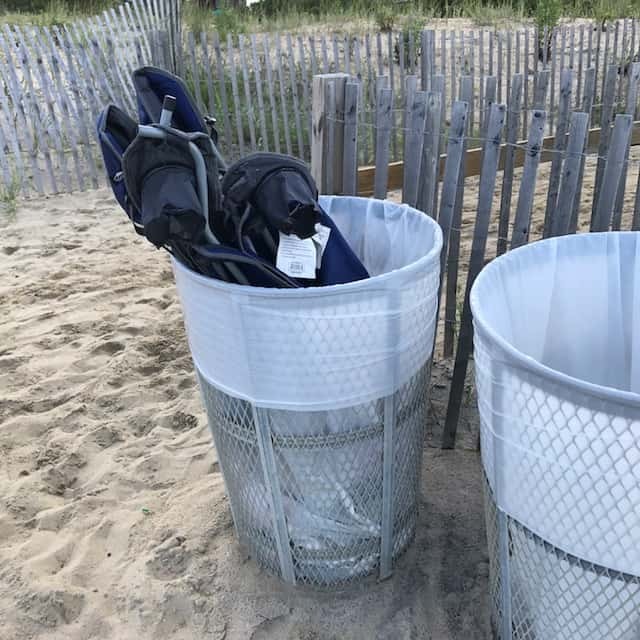 I know it means you can’t just dump the chair in the trash can at the beach but check with your local division of solid waste to see if they’ll accept your beach chair and/or umbrella skeletons for recycling. Over the years my kids have had their fair share of sand buckets, shovels and other plastic beach toys. For the most part they remained usable from year to year, unless we ended up with a cracked bucket. That’s no fun when you’re trying to carry water from the ocean! 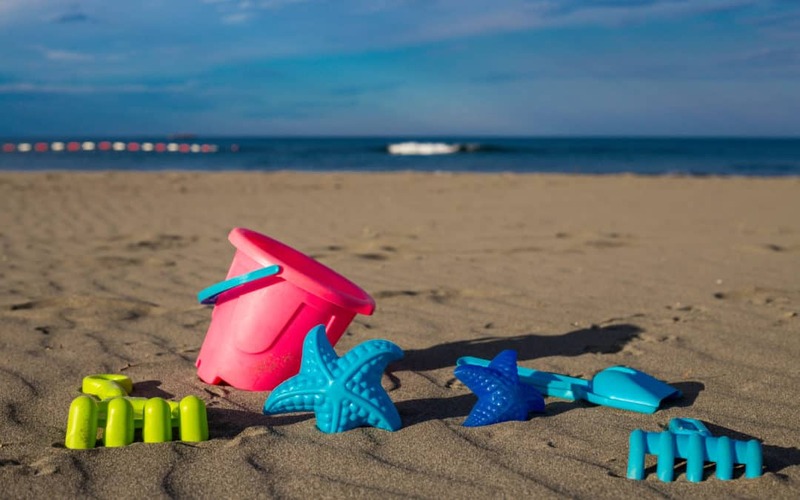 If you have usable sand toys that you no longer need, consider donating them to a local school, church or charity. They may be just a playground sandbox away from new life. Unusable (broken) plastic toys may be able to be recycled locally. Our division of solid waste accepts rigid plastics, includng toys like sand toys, for recycling. While they don’t pick them up curbside I can make a quick trip to drop them off. inflatables are made from one of those pesky plastics that is in no way, shape or form recyclable. The only way to dispose of them, when they are dead, is to trash them where they will spend an eternity (basically) in a landfill. (Cue gut wrenching sob!). A patch may give your blow-up flamingo, whale or other inflatable a little more life. And, once you’re done with it do your best to pass it on to a friend, neighbor or charity that may be able to use it – and keep it out of the landfill! While you are hopefully using sunscreen throughout the year you won’t likely go throught it like you do over the summer. You can also use the recycling information above to help guide you when making future sunscreen purchases. If you are choosing between two sunscreens go for the one that you can dispose of in the most eco friendly way once it’s empty! Beach towels tend to hold up pretty well but at some point it’s time to say goodbye. Especially when your tween has out grown using a princess towel! 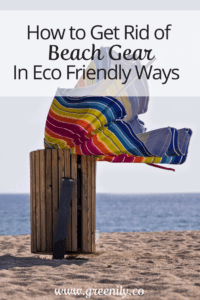 The best option for getting rid of old beach towels is to donate them. 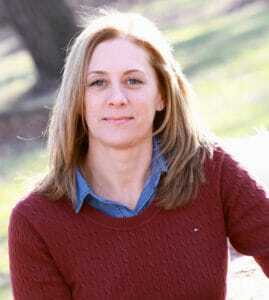 Consider a local charity or animal shelter. I recently donated towels to our local humane society where they accept not only towels but also sheets, blankets and tablecloths. You can also cut up old beach towels to use them as extra rags for cleaning around the house! A great alternative to paper towels! (Check out this post for more – 3 Easy Alternatives to Paper Towels). Flip flops get a beating at the beach. They hit the sand, the waves and the boardwalk so a blow out could be right around the corner. When it does happen, don’t head straight for the trash can. Try one of these options instead. First, give fixing them a try, especially if you’re mid-beach trip. Here’s a great video that walks you through the steps. If they are beyond repair or if fixing them isn’t your thing, check out this landfill-free option. Terracycle sells a Zero Waste box for flip flops. Basically, you purchase the box, fill it with flip flops and send it back to Terracycle. The cost of shipping is incuded in the purchase price. How about doing a neighborhood flip flop recycling collection?? 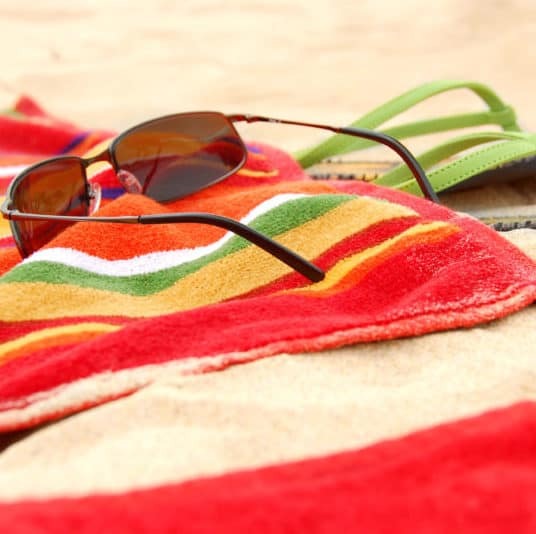 If your sunglasses took a beating at the beach this summer all hope may not be lost – especially if they were a favorite pair or cost you an arm and a leg. Many brands will replace the lenses or frames for a small fee. 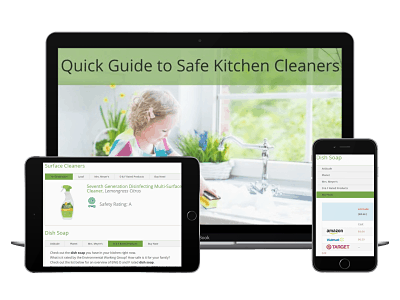 Check the manufacturer’s website or get in touch with customer service. It can’t hurt to try!! If your sunglasses are beyond repair – or your desire to repair them – there a few options for keeping them out of the landfill. 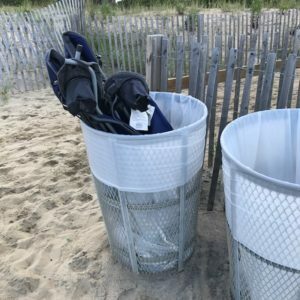 So even if all of your old beach gear doesn’t get tossed in an eco friendly way, any change you make is a step in the green direction! Making the effort to look for more eco friendly options is a start. The important thing is to begin to be more mindful of how you dispose of things you no longer need. From there, you’ll begin to look for choices that are safer, healthier and better for your family and the planet! P.S. If you’re feeling inspired, check out my post, “Throw It “Away?” for a little more perspective!